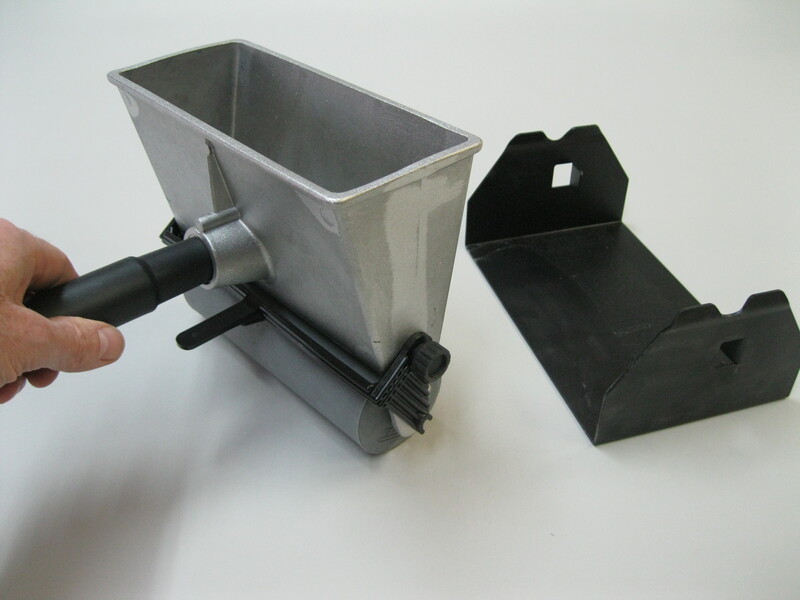 This well made 7″ cast aluminum roller type glue spreader holds a reserve of glue in the hopper with a internal metal roller for dispensing glue and a rubber roller underneath for spreading onto the panel. 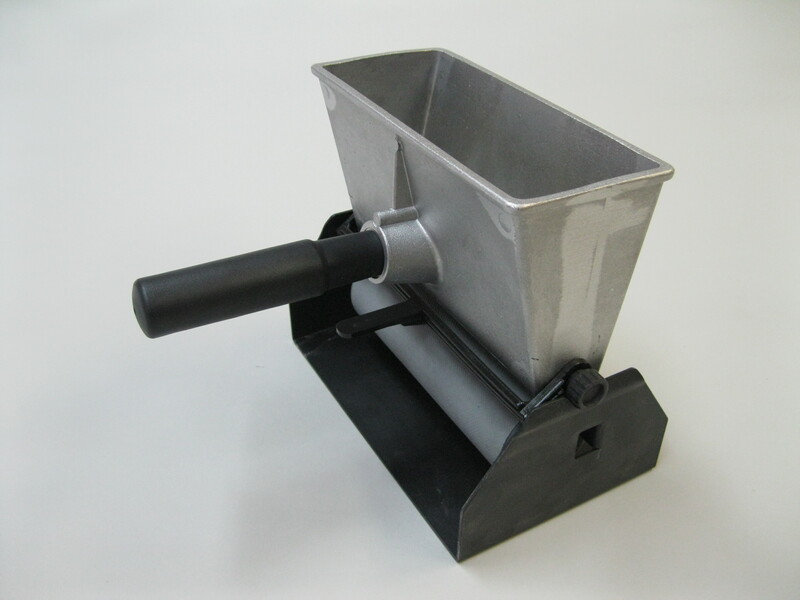 Pull the trigger and the internal roller engages the rubber roller dispensing glue, lift up and the rollers disengage allowing the rubber roller to evenly spread the glue. It comes with a stand to hold the spreader when idle.